The accommodation consists of one large bedroom with a king-sized bed and a single bed. It has a walk in en-suite. The living area contains an American kitchen and a sittingroom/diningroom which leads to a large covered patio ideal for dining or relaxing. The kitchen is fully equipped with all you should need if you fancy a bit of home cooking. There is a kettle, coffee machine and toaster as well as a washing machine, tumble dryer, iron, ironing board, radio, CD player and a hairdryer. There are two dining tables and 6 chairs in the living area one and one sofa. If you want a rural retreat away from the hustle and bustle of life then St Medard is the place to come. It is an old village with beautifully restored old houses built from the local sandstone which gives a warm glow to the buildings There are lots of interesting walks around the village and beautiful views to enjoy. Only a few kilometres away life carries on and you will find lots of shops, restaurants and all sorts of interesting places to visit. The bathroom has a walk in shower as well as a toilet and washbasin. appartement spacieux et confortable . Fraicheur et calme assurés avec une piscine qui été la bien venue .Le village été typique , seul bémol toutes les instructions étés en anglais . A recommander. 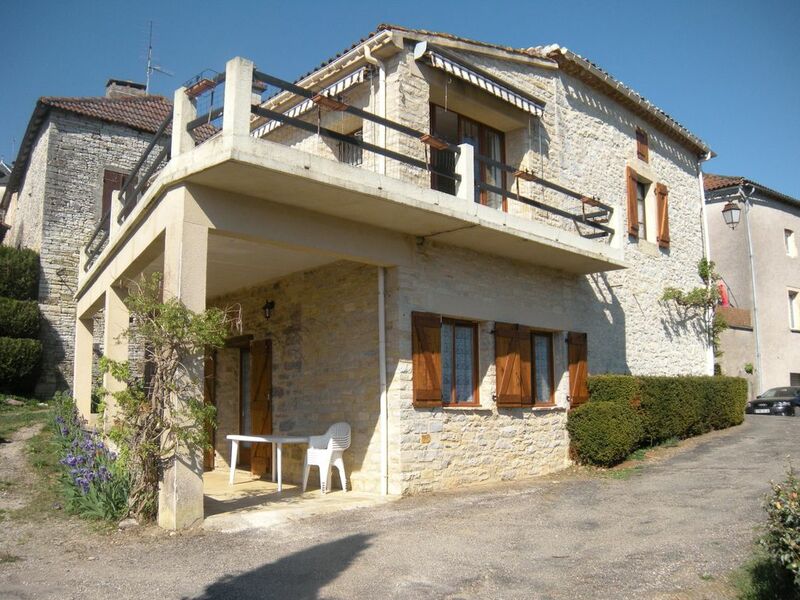 La villa est idéalement située: dans un petit village sur un site calme et a proximité d'une grande agglomération (Cahors) ainsi qu'à une distance respectable de grands sites à visiter. Le logement est bien équipé (vaisselle, linge de bain , de maison, appareils ménagers) et dispose également d'un emplacement de parcage de voiture ainsi que d'une piscine ce qui est encore plus appréciable. Je recommande vivement cette location pour toute personne souhaitant profiter des départements du Lot et de la Dordogne et de ses sites touristiques. St Medard is a quaint old village with houses built from the local sandstone. There are lots of scenic walks around the village which also boasts its own Mitchelin star Restaurant, Le Gindreau. In nearby Catus there is a lake (recently €3 million was spent on upgrading it) which is used for swimming, boating, tennis, football etc. There is also an information centre and cyber-base in the village. Market day is Tuesday. The L'Auberge is one of our favourite restaurants to eat and Bruno will take good care of you while his wife is the chef. There is a magnificent view point in Belaye and you will pass many vineyards as you tour the Lot. Prayssac has also some super restaurants and two large supermarkets. Cahors is the 'capitol' of the Lot and only 20 Kilometres from St Medard with its old town there is lots of exploring to be done, the cathedral and Le Pont Valentre are a must. There are many other beautiful places to visit, Rocamadour, Peche Merle Caves, the Underground Lake at Padirac, St Cirq Lapopie, Figeac are all highly recommended place to visit.